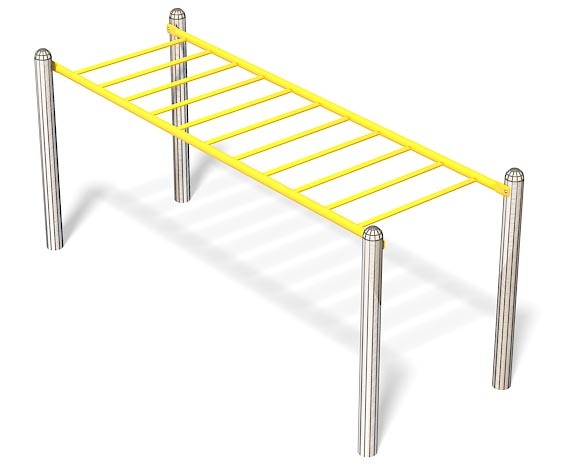 Accessible Overhead Ladder can be used with a wheelchair when installed on an accessible surface. 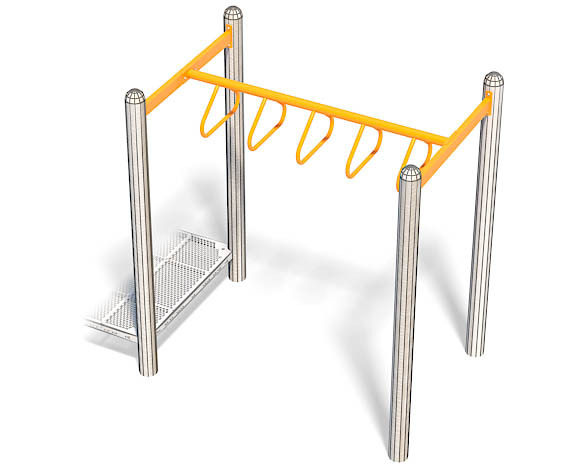 This Overhead Ladder can be used at higher heights for 5-12 age group as well. 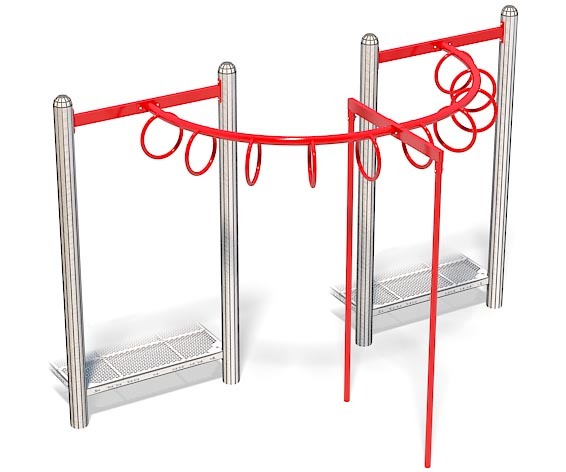 Can be connected to a playground as well. 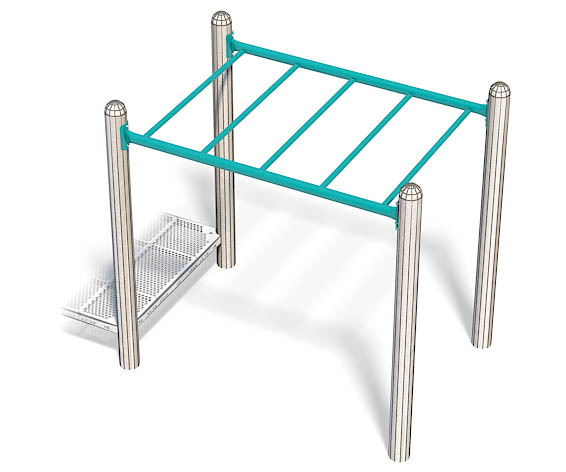 Available freestanding or for 6″ (152mm) through 2′ (610mm) decks. Maximum height 76″ (1950mm). Stationary loops on a curved beam. An ideal deck connector. For 6″ (152mm) through 2′ (610mm) decks. 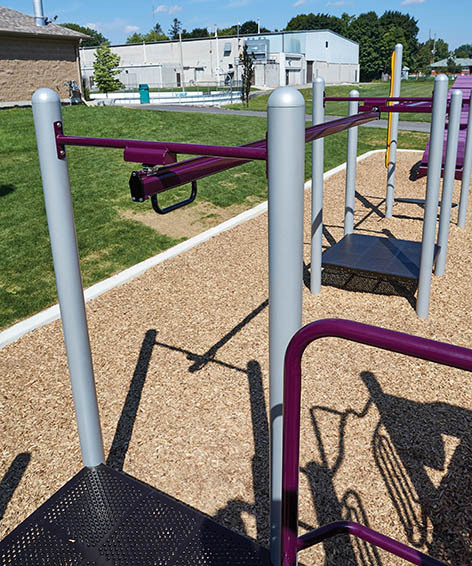 A smart way to add a large overhead activity to any play structure. Requires only one deck. May be used with 6″ (152mm) through 2′ (610mm) decks. This is a challenging, extra-long overhead ladder. Children have plenty of room to challenge themselves on this activity. Available freestanding or for 6″ (152mm) through 2′ (610mm) decks. 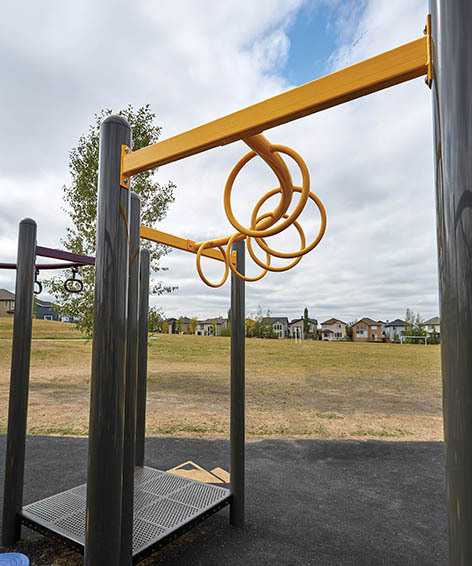 A traditional overhead ladder, ideal for mastering the art of brachiation. 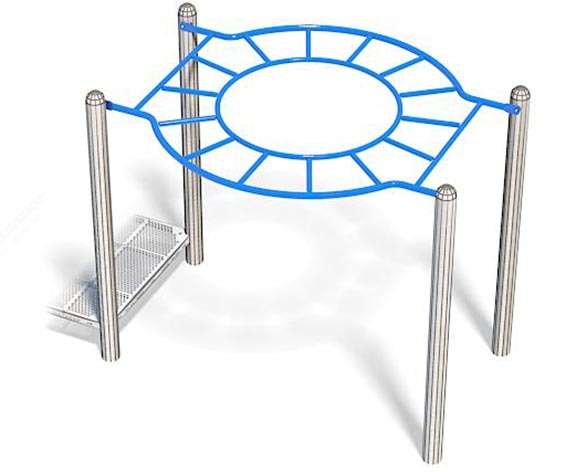 Available freestanding or for 6″ (152mm) through 2′ (610mm) decks. 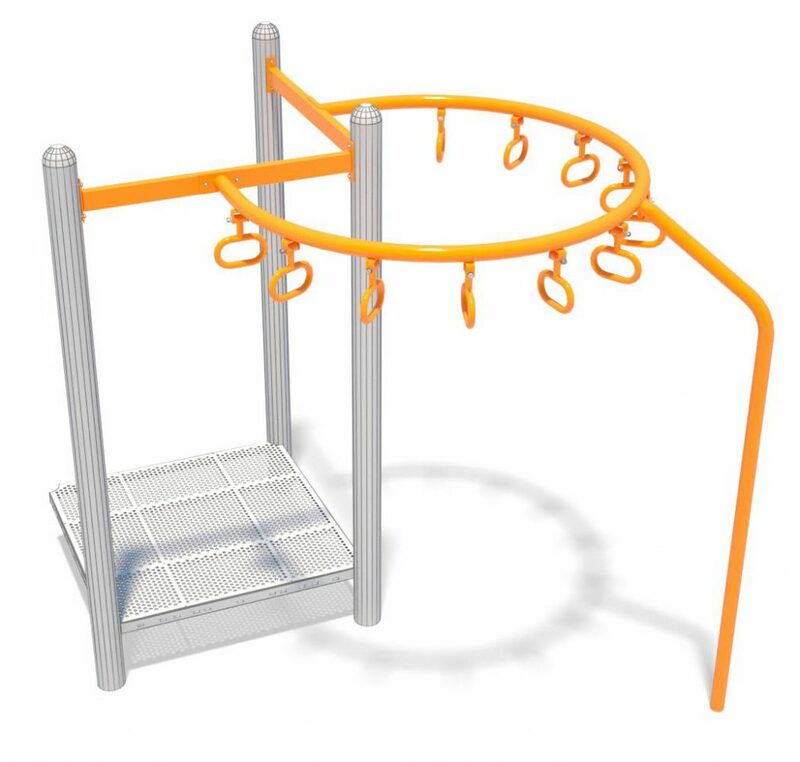 A shorter space saving version of the Triangle Rung Climber designed for smaller spaces. 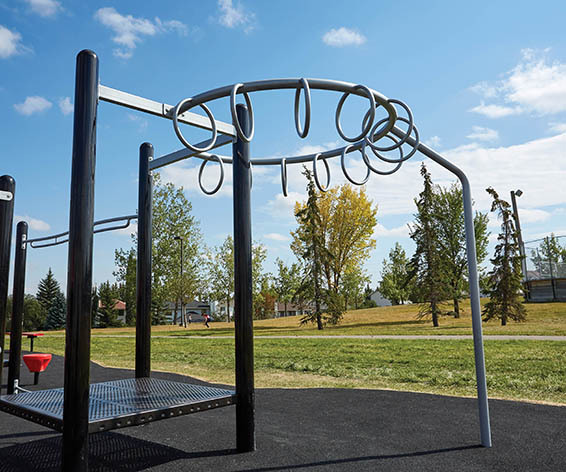 Stationary round loops are suspended from a curved beam. For 6″ (152mm) through 2′ (610mm) decks.